Could you use a monolithic dome as a greenhouse instead of a geodesic greenhouse? In a word. Sort of, maybe, depends. First of all what is a monolithic dome? Monolithic domes are usually used for living in rather than growing plants and veggies. As you might have guessed, a monolithic dome is created as a single solid structure. Up to the early ’80’s they were usually made of concrete built over a wooden form which was then removed. Later a creative fellow by the name of David B. South with the help of his brothers, came up with the air form method of building monolithic domes. The inflatable airform is designed and made specially for each dome. After it is delivered to the job site it is inflated and then the dome is built inside! Strange way to build but it works. First a circular concrete foundation is poured that contains rebar reinforcement that sticks up to attach the rest of the dome to. After the foundation is in place the PVC airform is fixed to the ring foundation and inflated with fans. These powerful fans will continue to run until the dome structure is finished. As soon as the airform is up a polyurethane insulation foam is sprayed onto the inner surface of the airform, then as soon as it is dry a sprayable concrete blasted onto the foam. This now provides waterproof (airform), insulation (polyurethane) and fire resistance (shotcrete). After the interior cement layer is applied the outside of the dome is coated with a UV resistant material such as tile, stucco or metal cladding. Some people even use deck cote or a ceramic paint. Once the shell of the dome is complete, openings for doors, windows and vents are cut into the dome. Geodesic domes cover the largest volume with the smallest surface area so you use less materials while having an easier space to heat. Also the dome shape allows for even distribution of heat, light, and air. Monolithic domes can be made to have a high thermal mass reduces heating/cooling requirements. Alls domes suffer from the fact that furniture and fittings are designed for the box shape and will be difficult to position in a dome resulting in wasted space. 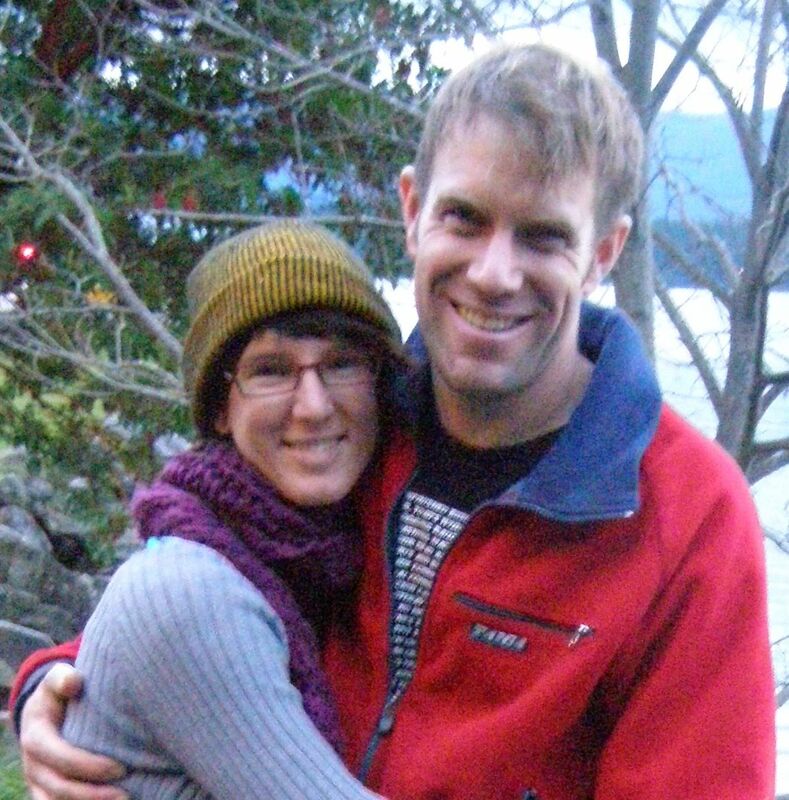 Some people think domes are weird so you may have a hard time selling your dome. If you choose monolithic construction remember concrete produces a lot of CO2 in its manufacture. Some people have have found that cladding solutions have fallen short, or are expensive. OK, so now you have a good background on what a monolithic dome is, could you use one as a greenhouse? Sure. 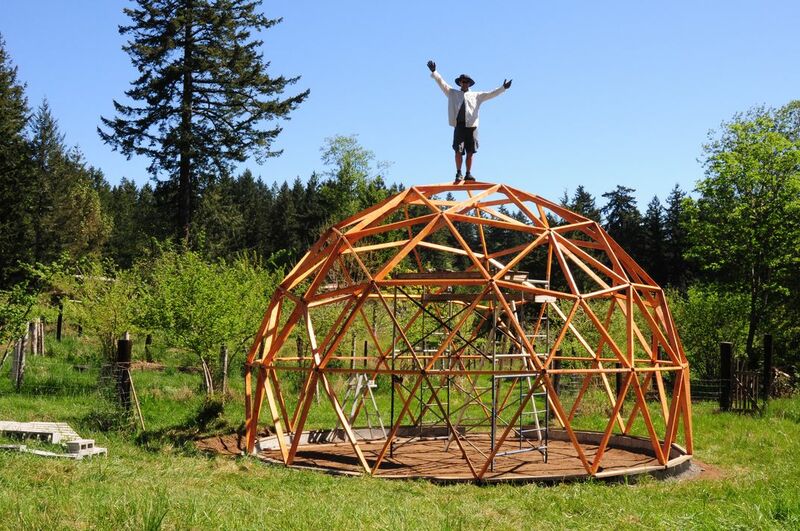 But, how much would it cost compared to a do it yourself wooden geodesic greenhouse? Also its not very portable! The geodesic greenhouse can be disassembled and moved if you ever need to whereas monolithic domes are rather, permanent! 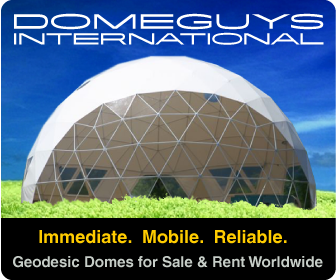 Geo domes let in more light and are lighter on the earth and the environment. Wood (properly grown and harvested) is a sustainable resource where concrete is a huge greenhouse gas emitter. So the geodesic greenhouse wins there too. What about solar mass? Well the monolithic dome is sure massive, but any greenhouse dome will have water tanks in the north wall for passive solar and water is one of THE most effective tings for absorbing heat and radiating it later. That’s why hot water radiators were so common in the past. Health of the building. 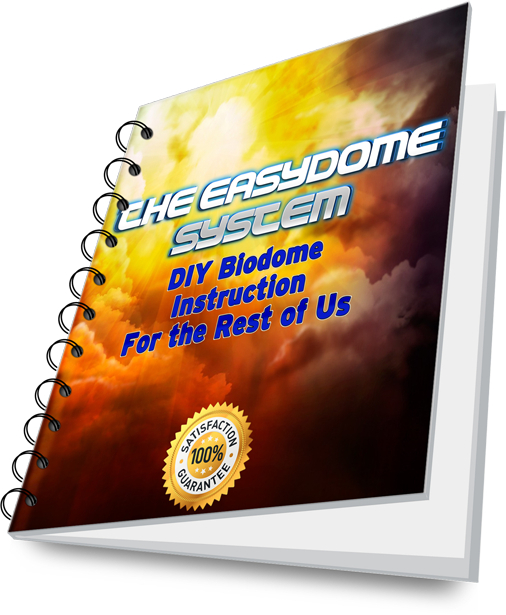 Some people have chemical sensitivities and polyurethane, PVC and other fun things used in the monolithic dome can have serious health impacts. In the geodesic dome made of wood there are some composite materials used in the glazing but overall it poses a much lower volatile organic compound (VOC) load when complete. At the end of the day depending on your budget, time constraints and need for permanence you may decide to go either way but for my money I would go with a wood frame, polycarbonate covered geodesic greenhouse, for health, ease of building and portability. This entry was posted in Dome Comparison Monolithic vs Geodesic and tagged comarison, geodesic dome, geodesic greenhouse. Bookmark the permalink.